One of my favorite parts of appearing at conventions is the cosplayers – not just seeing them walking around, but when they come up to my table to talk to me and it’s so very clear that their costume comes from a place of love for the character. They have such a passion for the character that they literally have to wrap themselves up in it. I love fans in general, but this variety is probably the most delightful and they just fuel me through a long day of sketching and working at the table. 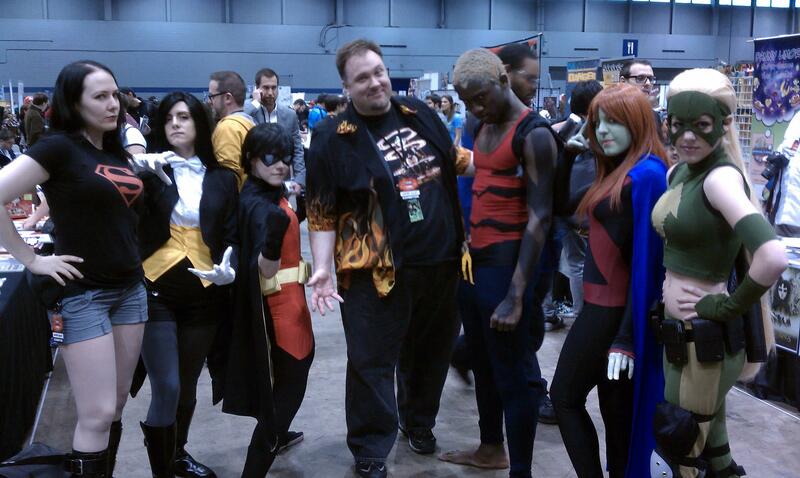 Comics scribe Gail Simone dubbed today Cosplay Appreciaiton Day, and who am I to argue? #CosplayAppreciationDay is trending on Twitter. I’d like to put #CreatorsForCosplay out there as well for those of us in the industry. So, comic creators across the world, won’t you join me in showing some love for cosplay by sharing pictures on your Facebook, Twitter and Blogs?